By tapping your phone on the counter of a participant store, you will make a payment in pretty much the same way as you do it by credit card, but without the bulk of a wallet to carry around, because Wallet allows you to store a vast number of cards in the same phone. Besides, the application is combined with Google Offers, storing its coupons on your phone, for increased accessibility. There are also more interesting aspects Google is currently planning to introduce with Wallet, such as membership suggestions. Among other advantages, a high degree of security is assured when choosing to pay via Google Wallet. All credentials are verified electronically, and the introduction of a Google Wallet PIN number, asked whenever a purchase is made, allows an even greater security for the user. A separate chip called the Secure Element allows only trusted programs to access all payment credentials. In the event of the phone being stolen, all cards could be canceled by calling your issuing banks. For the time being, Google announced that only the Nexus 4G phones will allow the use of this new application, plans being made to make it available for other Android phones and operators. Although an Android feature, the possibility of it being extended for other operating systems has not been ignored by Google. The fact that it’s device-controlled ( and not by an external operator) offers both pluses and minuses for Wallet. But by working with all companies, this system has a powerful plus over other existing similar payment methods. 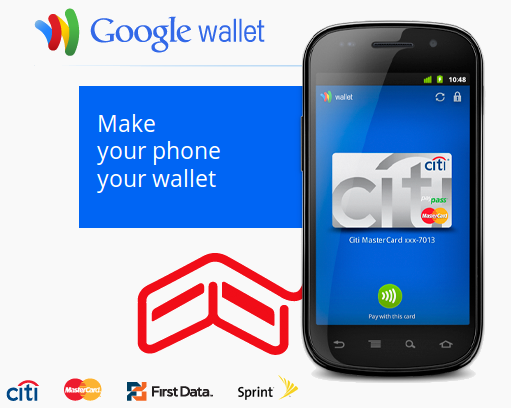 The Citi Master Card and the Google Prepaid Card will be supported at the launch of Google Wallet, planned for this late summer in the USA, after which steps will be made for it to also be available for other parts of the world. This entry was posted in News and tagged google, money by Dragos Schiopu. Bookmark the permalink.